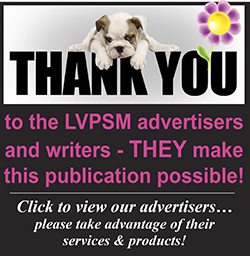 « Free Community Class: Canine Good Citizen! 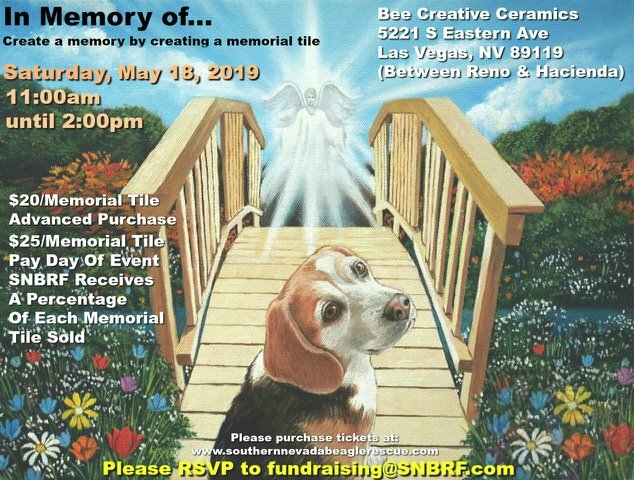 We will pay Bee Creative the day of the event and a portion will go to Southern Nevada Beagle Rescue Foundation to help with medical expenses. Please come out and paint a tile in memory of the one you have loved and lost but will never forget. Bee Creative paint/pottery shop will provide the tiles and paints for you to personalize and decorate. Afterwards, they will be fired in the kiln. When the tiles are completely done (allow 1 week minimum), you have the option to take the tile home, give it to someone else, or you can leave with SNBRF as we create memorial areas/gardens among the property. You can help us remember those loved ones we so dearly love and greatly miss. We will be honored to have them live on with us in the memorial areas.